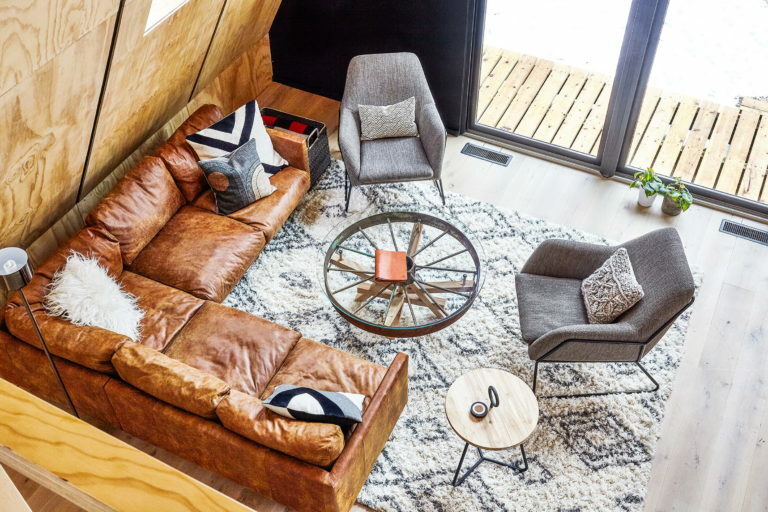 Chad & Courtney Ludeman, the husband-and-wife team, have renovated a classic 1960s A-frame cabin on the Maurice River in Dorchester, New Jersey. The rentable cabin can act as an urban getaway in winter or summer. Set in the middle of the woods the cosy guest lodge hosting up to eight people and can be booked on Airbnb.